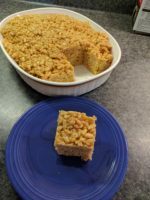 This is just as easy as the traditional Rice Krispie treats, but uses caramel in place of marshmallows and tastes much richer!! 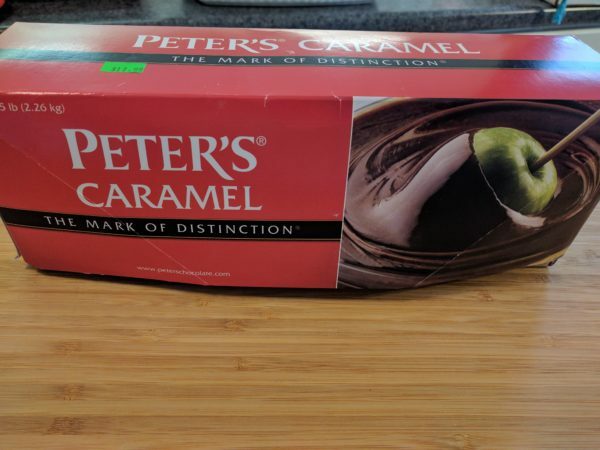 You can buy the caramel in 5 lb. blocks. I get mine at a Mennonite store, but it is also sold on Amazon. Cut caramel into slabs for easier melting and place into deep sided pan with butter and milk or half & half. Melt over medium low heat. Stir in cereal. Spread into greased 9" square pan and let cool. 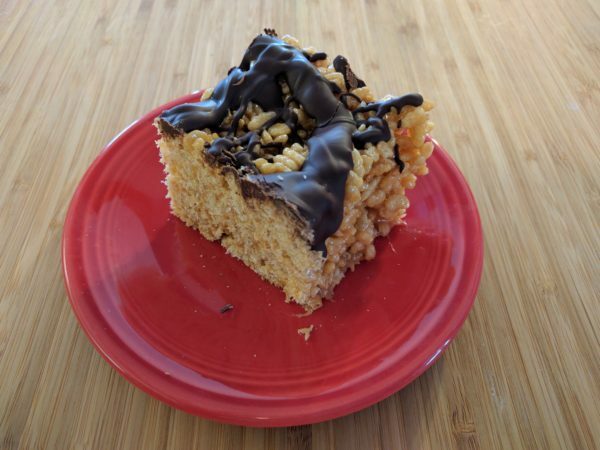 If you would like, you can melt the chocolate chips over low heat and drizzle over the top. Refrigerate to set.